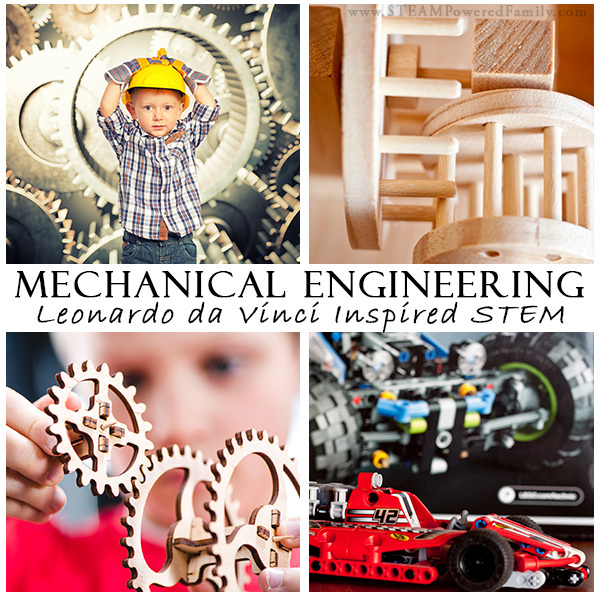 Heat transfer projects are an exciting and engaging choice for your next STEM activity. Kids love the hands on nature of these projects. Plus they offer a lot of practical life skills. 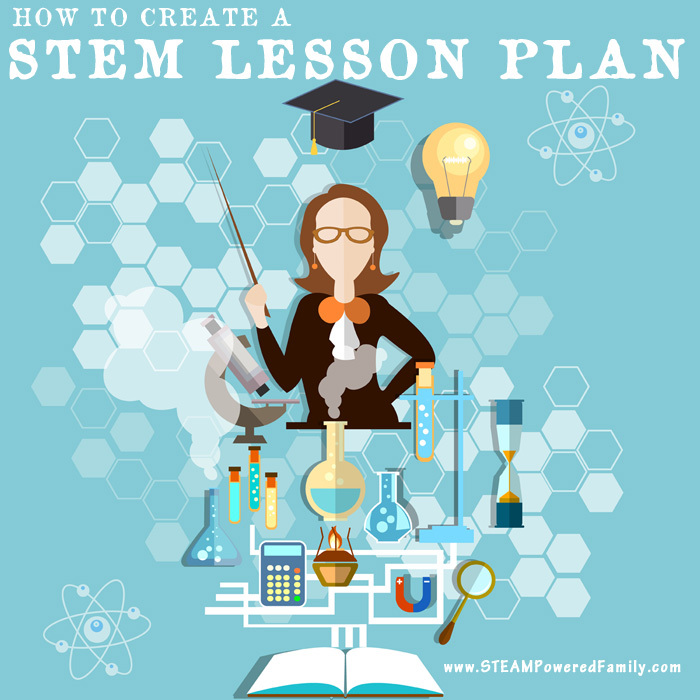 Like how to build a natural solar heater or how to slow heat loss, or how to make a slurpee with science! 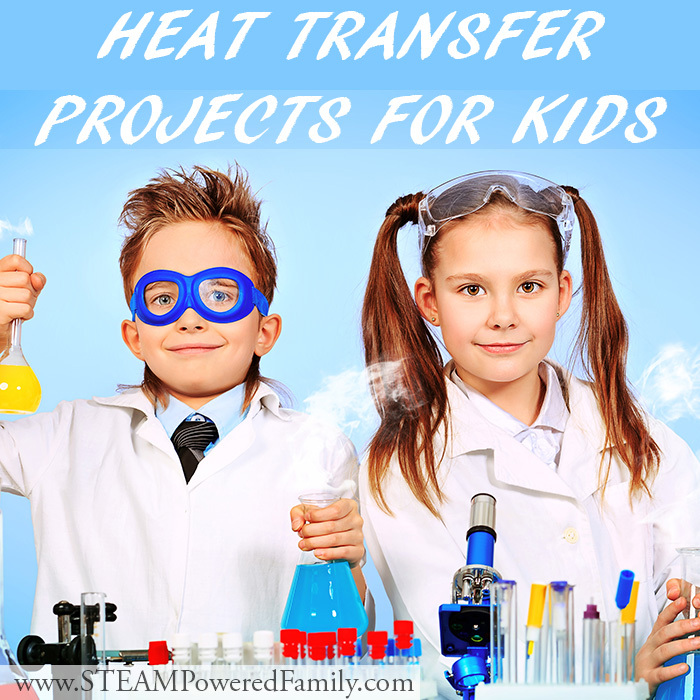 Before jumping into a bunch of Heat Transfer Projects it’s a good idea to chat about the science behind these experiments. Heat Energy is often called thermal energy. Thermal energy is present in the molecules of an object. When an object is hot the molecules have a lot of energy and move fast. When an object is cold, the molecules have little energy and move slowly. One thing to keep in mind, is that the faster molecules are moving, the more space they take up. 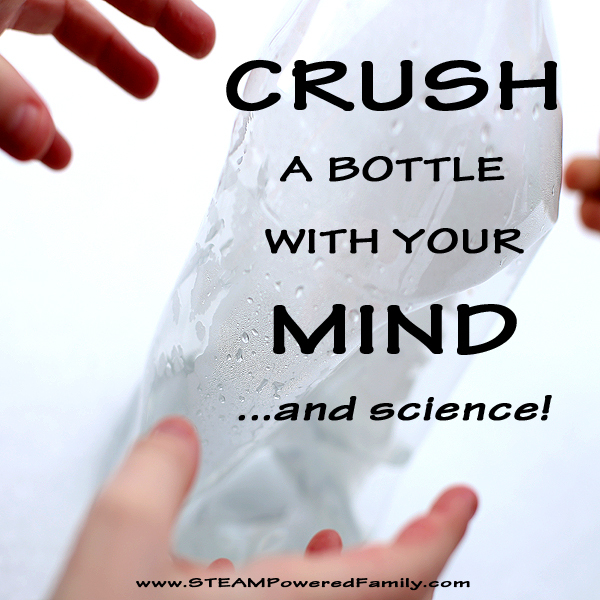 The Bottle Crush experiment below is a fantastic way to demonstrate this principle. The Second Law of Thermodynamics states that heat will always move from a hot object to a cooler one. Heat transfer is the movement of thermal energy as it transfers from one object to another or between an object and it’s surroundings. Thermal energy will naturally work towards a state of balance or equilibrium. This is known as thermal equilibrium, where two objects or an object and it’s surroundings achieve the same level of heat energy (thermal energy). Keep in mind the greater the difference in temperature the more rapid the transfer of heat. 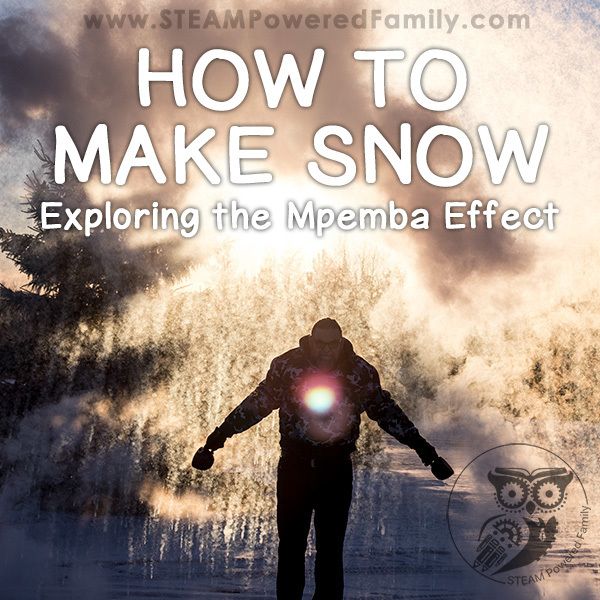 The Mpemba Effect is a great way to explore this principle in water. It’s important not to confuse Heat and Temperature. Heat refers to the energy present in the molecules of an object (picture how fast those molecules are moving). Heat is affected by the speed of the particles, the number of particles (including their size or mass), and the type of particles. Temperature is a measure of the average kinetic energy of the molecules in an object and is not affected by the number or size of the molecules. Heat and temperature are directly related to each other, but not the same thing. Picture a steaming mug of coffee, now picture a bathtub filled with the same steaming coffee. The temperature is the same, but the thermal energy is higher in the tub because there is more coffee. In a nutshell, heat is energy. Temperature is a measurement of that energy. So with these heat transfer projects we are exploring the transfer of energy, with temperature being a common method of measurement and quantification of the results. 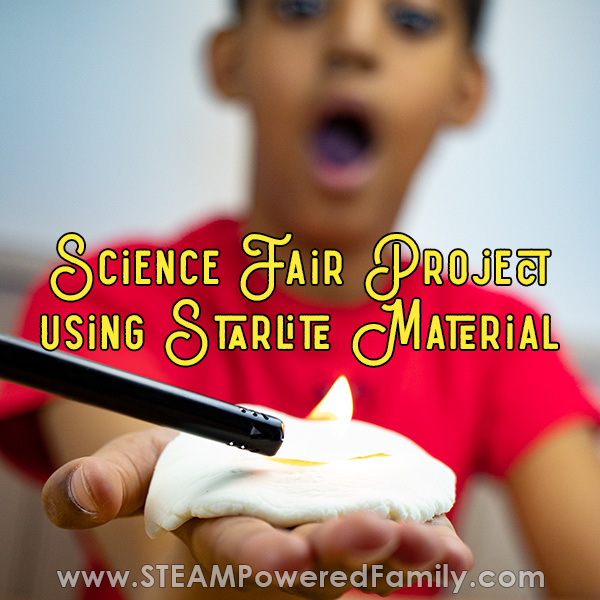 This project is absolutely fascinating and would make an amazing science fair project for middle grade. Our Starlite recipe uses ingredients that you probably already have and it provides incredible thermal protection from heat transfer. 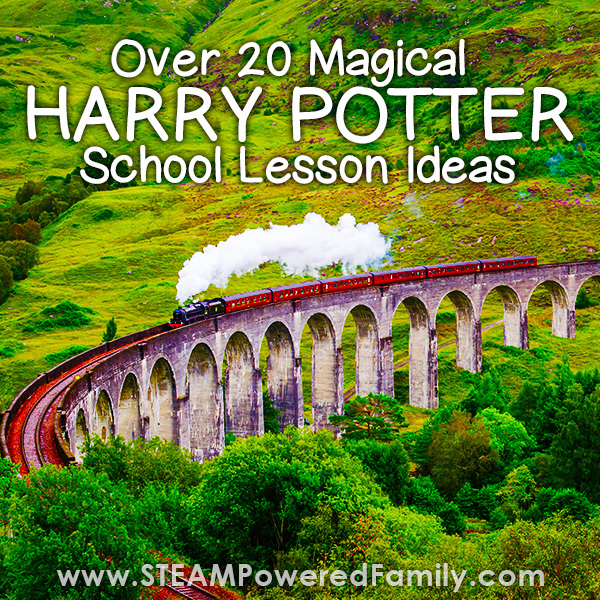 We tested it a number of different ways, and each was utterly fascinating! 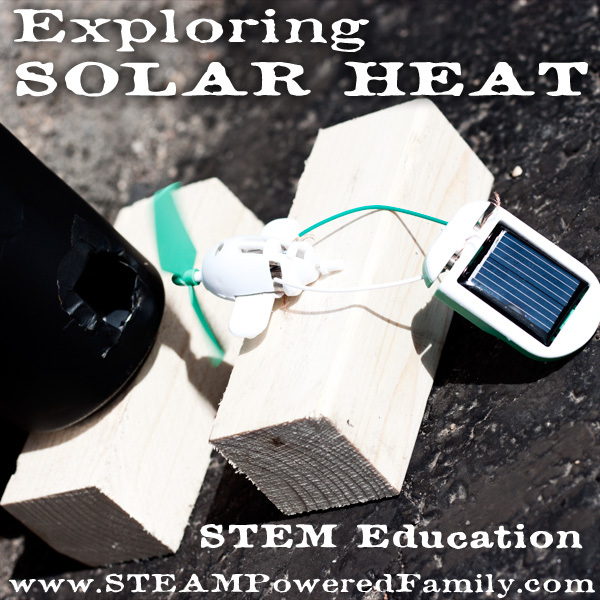 This activity uses recycled materials to develop a solar chimney. Using the energy from the sun, it is transferred to the air inside the chimney, heating the air. This is one of the projects on our to do list. Our sun is too weak at this time of year in the North, so we are waiting until the seasons change, but soon! For now check out this very cool project. A fun project that explores how salt impacts ice and the transfer of heat between the ice and adjacent objects and the surroundings. 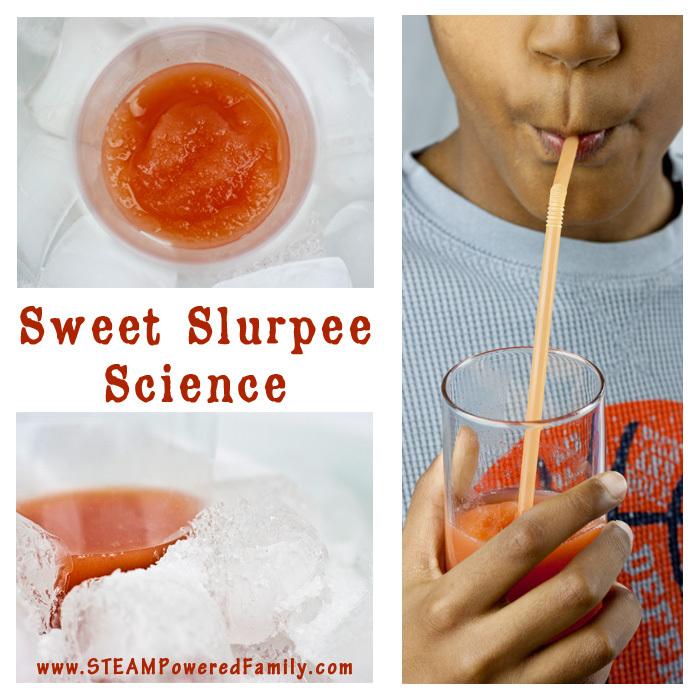 Using the principles explored in the previous Winter STEM project, this heat transfer project has a tasty treat at the end as students make their own slurpees with science! 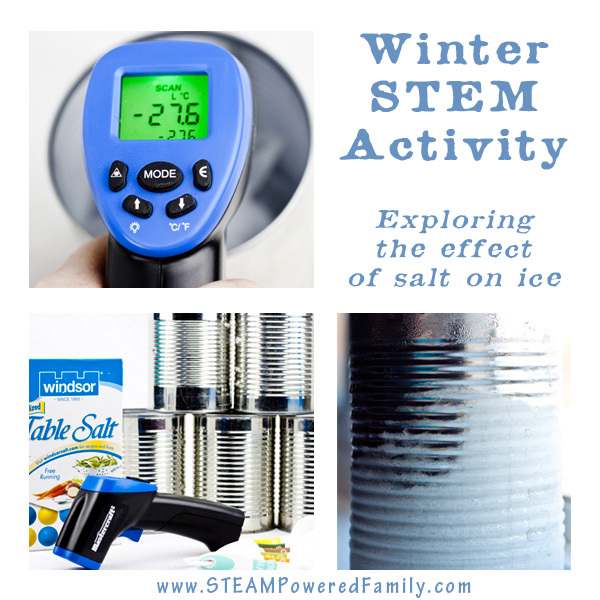 This activity is like magic and a great example of how rapid changes in heat energy and temperature can create a vacuum. 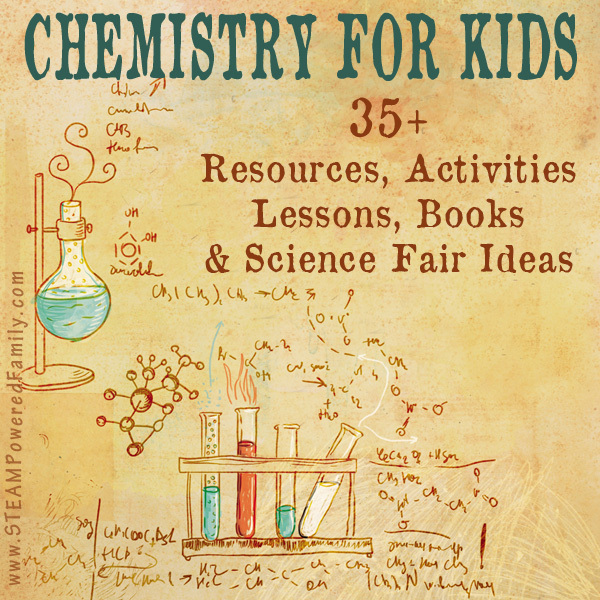 The perfect hands-on heat transfer activity! 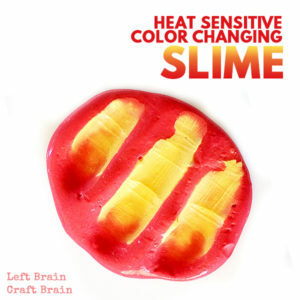 This slime transfers heat from your hand to the slime creating a color pattern. Living in an extreme climate (-30 C right now), one of the most common questions is: how do animals stay warm and safe in cold temperatures? This project will help students understand how animals stay warm by slowing heat transfer from their bodies. This simple activity demonstrates how some materials are better for heat transfer and more conductive, while others resist heat transfer. This activity was mentioned above. Bottle Crush is a very simple science project that kids of all ages will enjoy. It does a fantastic job of showing how high heat energy takes up more space and low heat energy takes up less space. The Mpemba Effect is about the peculiar property of water where it will freeze faster when it is hotter, rather than colder. The greater the difference in temperature, the faster the heat transfer and the more dramatic the results. And at -40 the results are breathtaking! A potentially messy but fun experiment that shows how heat transfers between liquids when they are mixed together. 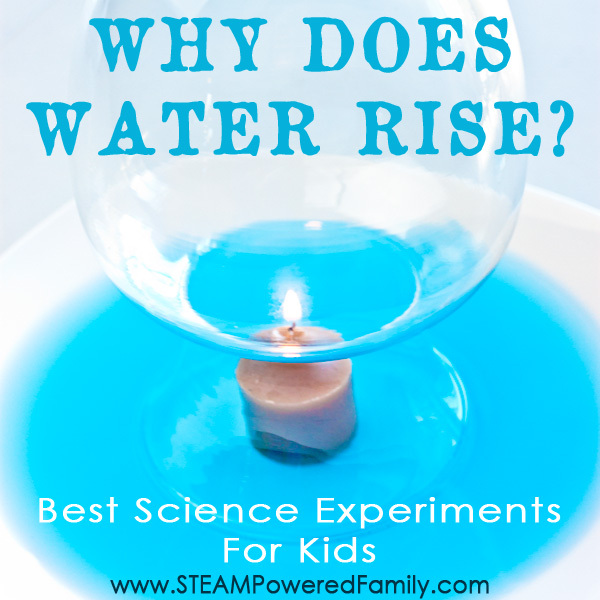 Similar to the experiment above, this one also explores heat transfer in liquids and how liquids at extreme temperature differences react to each other. 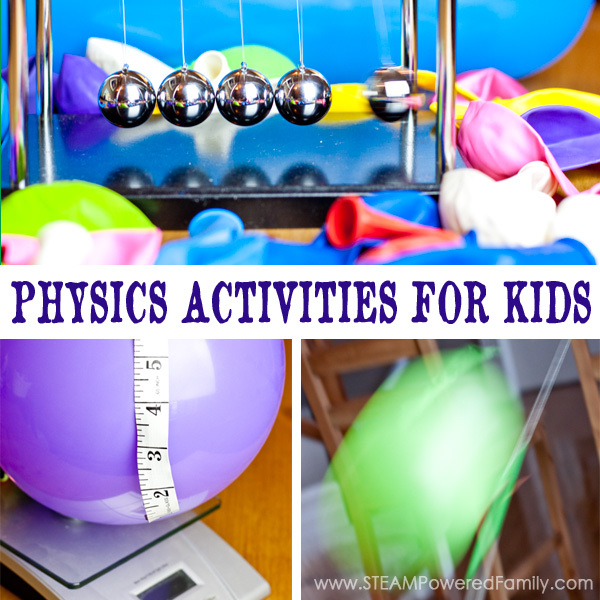 MORE SCIENCE & LEARNING FUN!